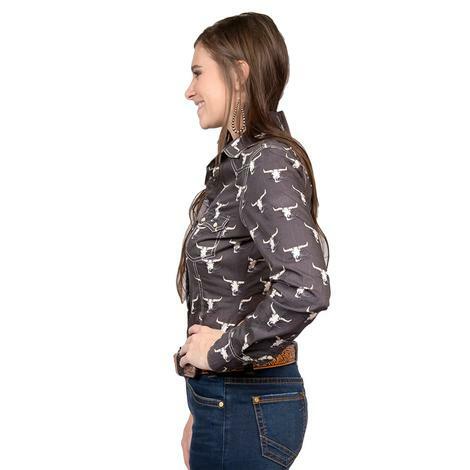 This shirt by Panhandle Slim has steerheads printed all over with a natural brown color underneath. 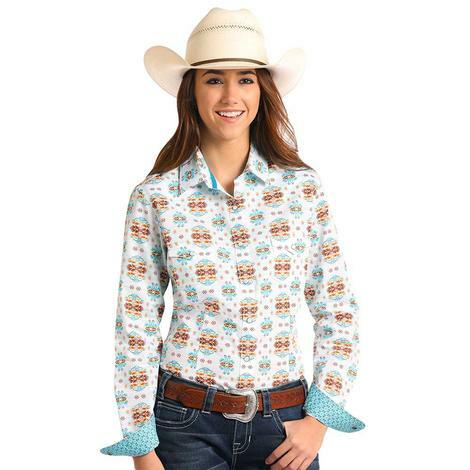 Whether you're heading out to the rodeo or going to a meeting, this shirt is the perfect match. 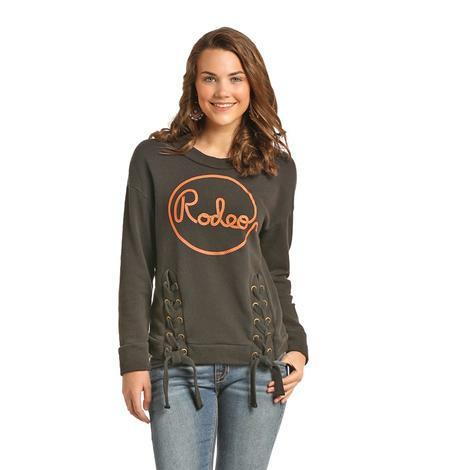 Add this one to your collection today while supplies last! 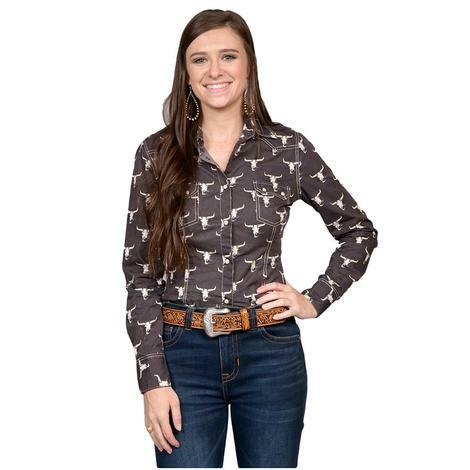 This classic style western shirt by Panhandle slim is perfect whether you're on the ranch or out on the town with friends and family. Grab yours while supplies last! 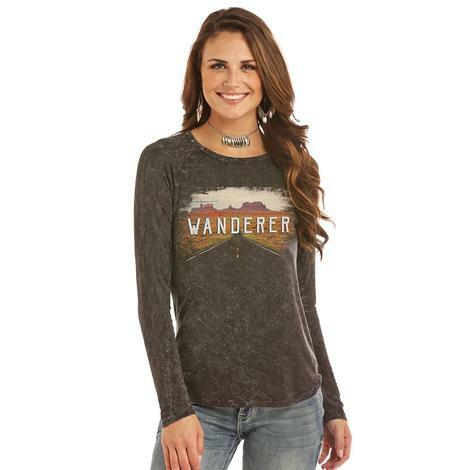 This shirt by Panhandle Slim is black with long sleeves and features wanderer print on the front and center. This one is sure to sell fast so get yours while supplies last! This choker neck blouse by Panhandle Slim has and an allover cactus print design on both the front and the back with long bell sleeves. 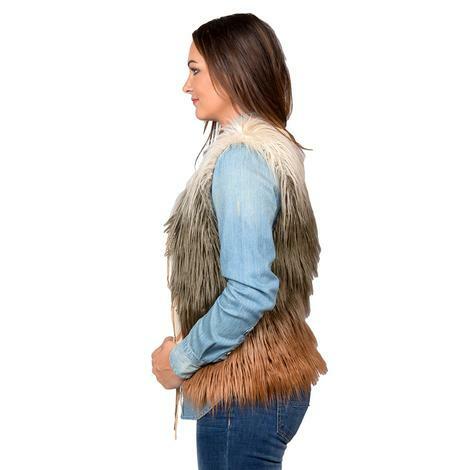 Add a pair of STT jeans and a nice pair of boots and you're good to go! 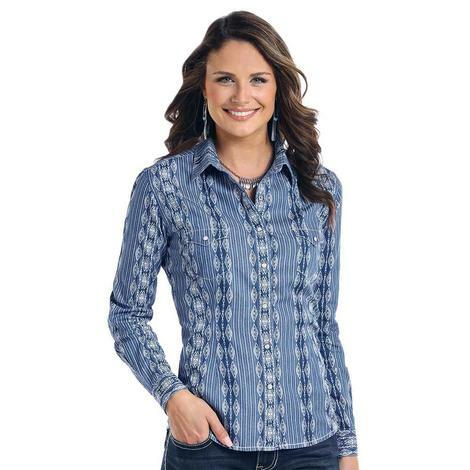 This western women's shirt by Panhandle Slim is blue and white with a wide v-neck design and long sleeves. 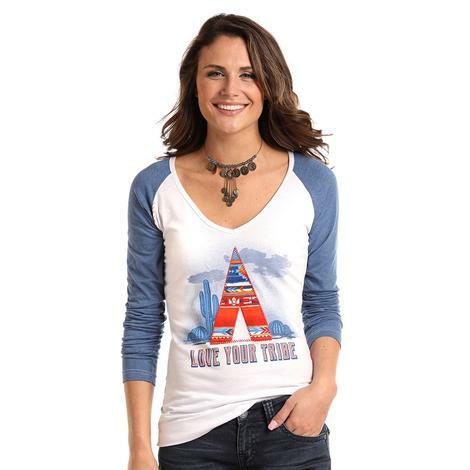 The front has a vibrant colored teepee with Love Your Tribe printed underneath. This long sleeve shirt by Panhandle Slim is made from 100% cotton and features a unique blue kinlichee antique print that's sure to grab everyone's attention in the room. 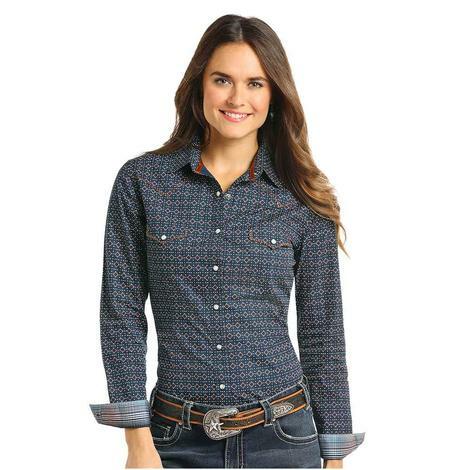 This traditional western shirt for women is navy and brown with a spread collar and long sleeves. 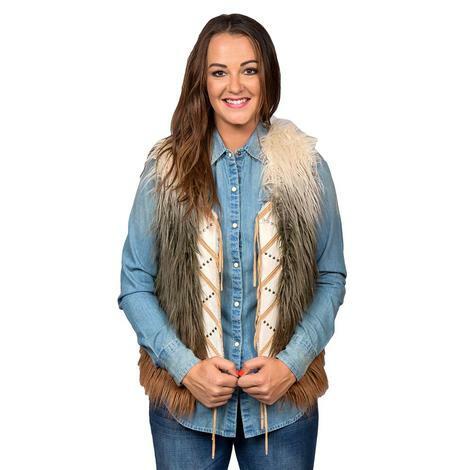 Button up front and double button front pockets. Add these to your collection today! 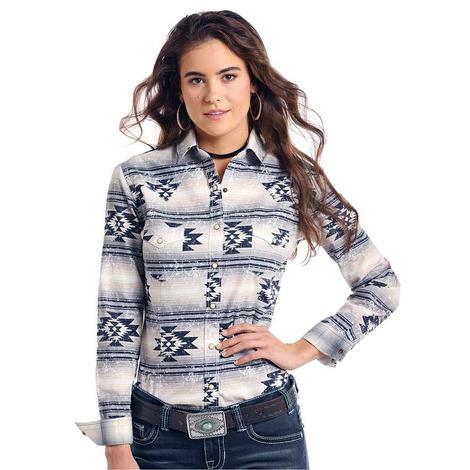 This shirt has Aztec print allover with long sleeves and a western motif that works well with anything in your current wardrobe. This shirt features a Aztec print throughout the entire shirt. Wide spread collar.